12 Days of Fabulous Gifts @ Big Savings! ​especially if you are shipping to the west coast. 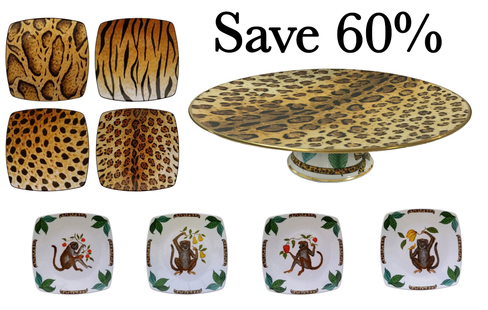 Save over 65% today on our fabulous melamine serving trays: Jaguar Jungle, Monkey Business, American Pages, Amazonian and American Waters. 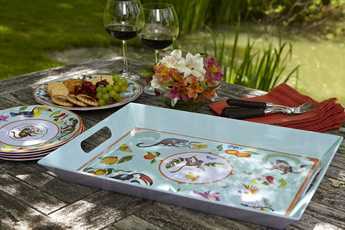 These trays make the perfect gift! 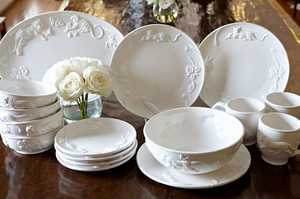 Save 60% on our entire Jaguar Blanc faience collection. If you have anyone on your list who likes a large coffee mug, Jaguar Blanc mugs are a must have! 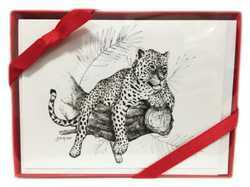 The Platter and Serving Bowl too make lovely gifts. 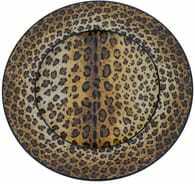 DAY #9: Leopard Porcelain Plates. 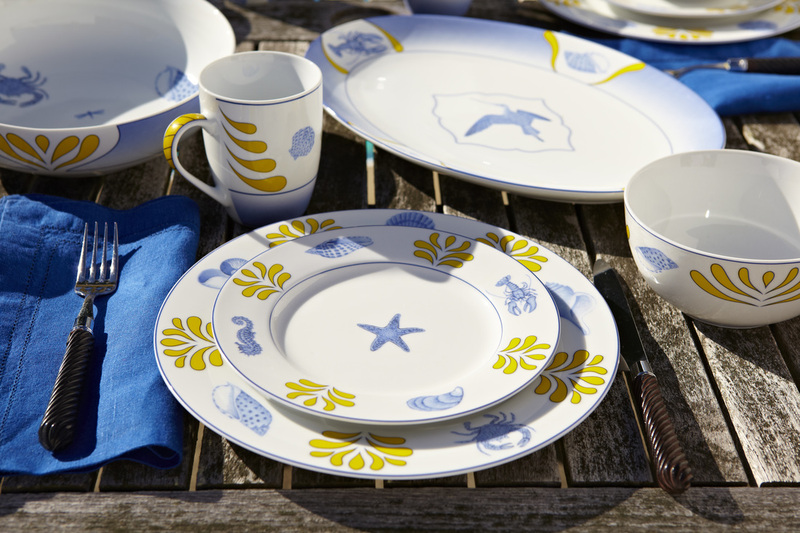 Save 60% or more on our porcelain Beachcomber collection. SAVE 60% when you get one of each! One Barn Dance, one Monkey Magic. It's a no-brainer at this special price! 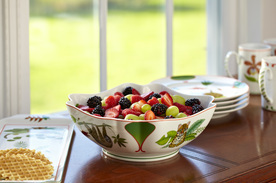 SAVE 60% or more on our entire porcelain Rainforest Collection. 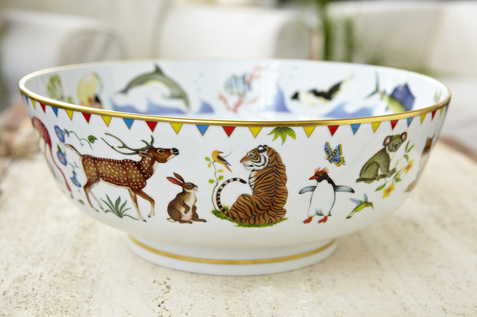 This is one of our most popular collections for gifting because so many pieces can be enjoyed on their own. The Rainforest round covered box and olive dish make lovely desk accessories, while the serving bowl and salad plates make the most wonderful dessert set. Let your imaginations run wild, just like the rainforest! 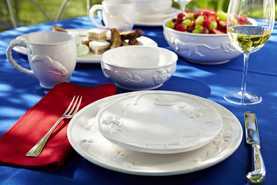 SAVE OVER 60% on select fine porcelain serving bowls. You don't have to collect the entire pattern for these serving bowls to shine on your dining table! Perfectly priced for the perfect gift. 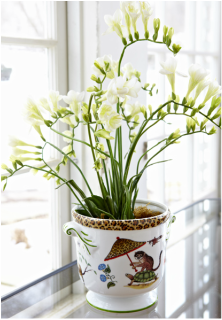 SAVE 65% Today The 8" diameter of this whimsical porcelain cachepot is perfect to hold a plant, a bouquet, a bottle of wine... let you imagination run wild. Featured is a monkey swiping bananas on one side and on the other, a monkey with his very chic umbrella in hand catches a ride on his tortoise friend. Jaguar fur accents the rim while cubs adorn the sides. 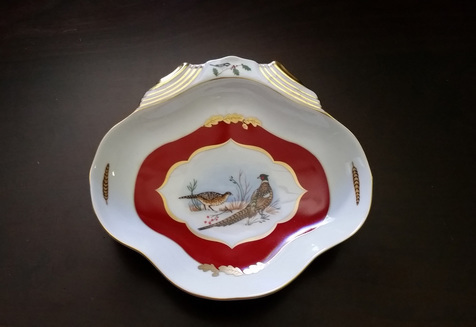 SAVE 60% on this stunning porcelain serving dish with 24-karat gold accents. The size is perfect (8.5" x 8" x 2" deep) to use on your holiday table or as an elegant catch-all for the entry table. One thing is for certain: this piece should not be left in the hutch to be used only for the holidays!